Keep your skateboarding, snowboarding, and motocross. 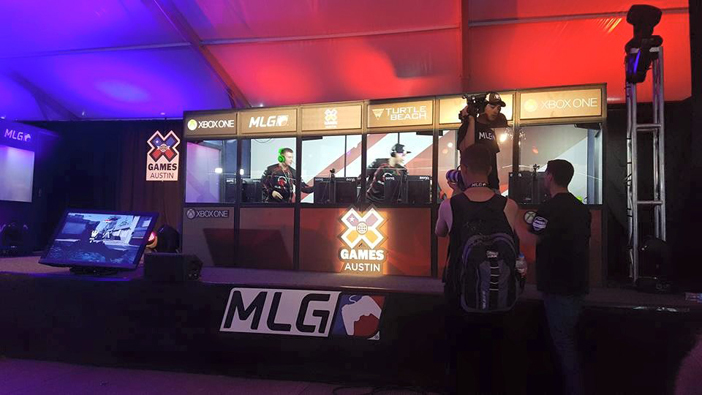 The most exciting competition at this year’s X Games is going to be Call of Duty, at least if 18-year-old Josiah Berry has anything to say about it. Berry – who prefers to go by his online handle, Slacked – should know. As a member of Team eLevate, one of the nation’s top Call of Duty teams, Slacked has been part of the rapidly expanding eSports scene for over three years. This weekend, Slacked and eLevate join seven other Call of Duty teams at Major League Gaming’s Pro League Season 2 Championships 2015 in Austin, Texas, where they’ll duke it out for a piece of the $75,000 prize pool. Getting to the X Games and the championship tournament wasn’t easy. 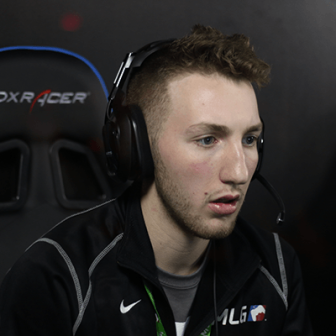 Slacked and his three team members battled through 44 separate online matches this past spring, ultimately securing the number four seed. The championship event, which runs from June 5 through 7, is a double elimination tournament in which each match is a best-of-seven series that spans Call of Duty: Advanced Warfare’s most popular competitive modes: Hardpoint, Search & Destroy, Uplink, and Capture the Flag. “I was really good at it, and I really liked the competition,” Slacked says. He started competing professionally just over a year later. Inspired by live streams of professional Halo matches – not to mention the money involved, which gave virtual competitions real-life stakes – Slacked borrowed his mom’s credit card and registered for an online tournament. He got first place, and won $300. Since then, Slacked hasn’t looked back. Yet even after all this time, he still hasn’t warmed toward recreational gaming. “I really don’t have too much interest in games besides Call of Duty,” he says. “I’m going to be playing in a tournament for money online, or I’m going to be playing to get better.” Slacked isn’t really a gamer, per se. He’s an athlete, and Call of Duty just happens to be his sport of choice. Like their X Games brethren, Call of Duty players can get an edge by using the right gear. Team eLevate uses the Scuf Xbox One controller, which Slacked adores. The “trigger” buttons on top of the Scuf gamepad, which are used to shoot Call of Duty’s weapons, are tighter than normal, meaning that button presses are snappier, leading to shorter reaction times. The Scuf pad also has paddles on the back that serve as extra buttons, allowing players to perform actions without moving their thumbs. As with other sports teams, video plays a huge part in Team eLevate’s training process, too. Every match that eLevate plays is streamed on the Major League Gaming website, which comes with a rebroadcast feature. That’s nice for fans, but it’s critical for players, who can use recordings to analyze what their teams did right – and what they didn’t. Slacked says, “If something went wrong that day, I can put up the rebroadcast on my stream, and we can sit down and watch that together.” As a team, eLevate will scour past videos for mistakes and adjust its strategies accordingly. Otherwise? It’s just practice, practice, practice. Going into the X Games, Slacked and eLevate have been training for up to six hours a day, five or six days a week, scrimmaging against each other or other professional gamers. For Slacked, the lead-up to a Call of Duty match is a lot like the beginning of a basketball game: “Before the game, you’re in the locker room, you’re preparing yourself,” he says, “you warm up, you play the game, you gotta get prepared.” Often, Slacked uses music to pump himself up – to “get my head in the game,” as he says. After all, Slacked seems to imply, there’s not really a difference between eSports and other ones. A game is a game. Physical or digital, it doesn’t matter; it’s a competition either way. Update: Team eLevate took home the bronze medal during the competition in Austin.